Director of the Institute for Best Practices and is a licensed psychologist with specialized training in psychiatric rehabilitation and mental health services research. She is the co-developer of the Tool for Measurement of ACT (TMACT), a nationally recognized contemporary measure of ACT fidelity. 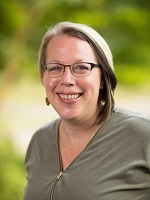 She is a published Assertive Community Treatment (ACT) researcher and recipient of several awards and honors, including the Carol Mowbray Early Career Research Award from the Psychiatric Research Association. She has a range of clinical experiences, including working on two ACT teams. In the past 17 years, she has had the pleasure of visiting and evaluating ACT teams in 12 U.S. states and Ontario, as well as providing consultation and guidance to a variety of governing authorities in regard to ACT implementation. 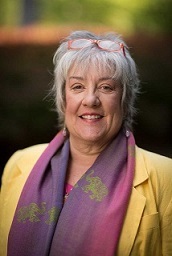 Since 2008, Dr. Moser has been a coordinator of the North Carolina ACT Coalition, which is a grassroots learning collaborative and advocacy group comprised of ACT providers invested in providing higher fidelity ACT services. Born and raised in the great state of Wisconsin, the birthplace of ACT, Lorna went on to do a tour of the Midwest (Illinois State University for her Master’s Degree and Indiana for her Doctorate) before she and her husband landed in the beautiful state of North Carolina, where she completed her clinical internship at Dorothea Dix State Psychiatric Hospital and an NIMH Post-Doctoral Research internship with the Services Effectiveness Research Program at Duke University. Her career and family keep her very busy, and she often thinks about eating better and exercising (i.e., contemplation and preparation stages of change). ACT Consultant and Trainer Program Manager with the Institute for Best Practices and is the Co-Coordinator of the North Carolina ACT Coalition, a grassroots provider learning collaborative. Stacy has more than 25 years’ experience in North Carolina mental health services, working with both adults and children in a variety of settings. 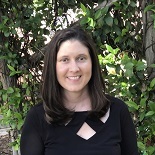 She is a member of the Motivational Interviewing Network of Trainers (MINT), and regularly uses Motivational Interviewing in her personal and professional lives. Stacy is also a Meyers-Briggs facilitator, and has experience with organizational consultation and strategic planning. She attempts to integrate humor and art into her workshops and everyday life. 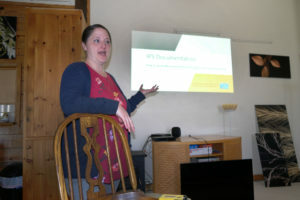 She actively supports those currently doing the work of ACT and believes that community public mental health services are social justice work under another name. IPS Consultant and Trainer Program Manager with the Institute for Best Practices. Matt has more than 15 years’ experience in North Carolina providing services to adults and adolescents dealing with mental health and co-occurring conditions in a variety of settings. Much of Matt’s career has been dedicated to assisting individuals with chronic mental health and/or substance use disorders identifying, pursuing, and achieving employment outcomes consistent with their skills, interests, abilities, and desires. Matt has been leading an effort to implement high fidelity Individual Placement and Support (IPS) across the state of North Carolina, managing a team of five IPS Consultants and Trainers who are regionally located to best assist providers in their efforts to implement IPS. 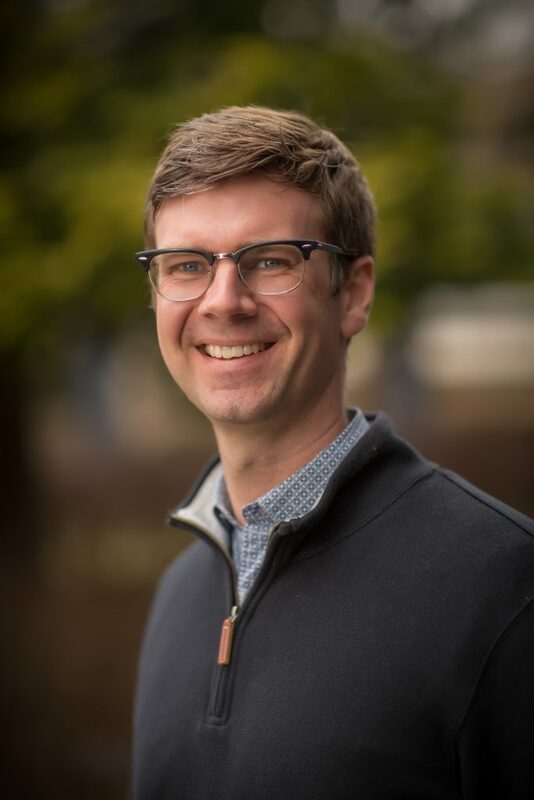 Former IPS-SE Supervisor of a higher fidelity IPS team here at UNC and current APSE-NC Board of Directors, Matt is a firm believer in people’s ability to move beyond their current circumstances, and the role a job and meaningful activity can have in one’s wellness and recovery. ACT Consultant and Trainer with the Institute for Best Practices. 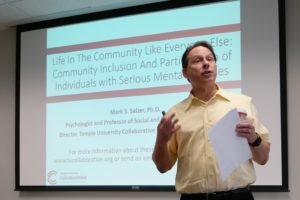 Stephen has been working with people challenged by severe and persistent mental illness since 2001, working in several states, including Illinois, Ohio, and North Carolina. Stephen has extensive experience with ACT implementation, including developing two high-fidelity ACT teams from the ground up, and rebuilding five previously struggling ACT teams. Outside of work, Stephen enjoys traveling to countries off the beaten path and scuba diving. Although he is a former high school wrestler and coach in high school, he has learned through motivational interviewing not to wrestle with consumers or staff. IPS Consultant and Trainer with the Institute for Best Practices. Melissa has more than eight years’ experience in NC community mental health services, providing services to adults diagnosed with serious mental illness and co-occurring disorders. She has experience in providing technical assistance and training to IPS providers as an Evidence-Based Practice Specialist with the Division of Mental Health. Currently she is an IPS trainer for the Institute for Best Practices. She passionately believes in the possibilities and hope for people experiencing life challenges and that all working age people should have the opportunity for employment. She remains a dedicated advocate for the importance of creating a recovery-oriented system, emphasizing the inclusion of employment for people’s recovery efforts. IPS Consultant and Trainer with the Institute for Best Practices. Ariel has worked in a variety of fields over the past decade. Her background includes case management for homeless persons, family advocacy for survivors of intimate partner violence, and long-term housing and therapeutic support for people working to overcome substance use. 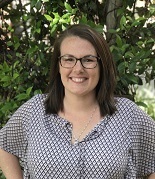 In the past three years, Ariel has greatly enjoyed her work with the UNC Center for Excellence in Community Mental Health, assisting with healing farm recovery programs, and working as part of the IPS Supported Employment Team. Ariel believes that meaningful employment is an integral part of the recovery process for people with mental illness. She believes that anyone can achieve their career goals with the right supports. As a trainer, Ariel is eager to spread the message of IPS and help individuals throughout North Carolina to realize their employment dreams. IPS Consultant and Trainer with the Institute for Best Practices. Penny has more than five years of experience in community mental health as a Vocational Specialist on ACT and as an IPS Team Leader for Monarch Winston-Salem. She also has experience working with Vocational Rehabilitation as a Practicum Student. 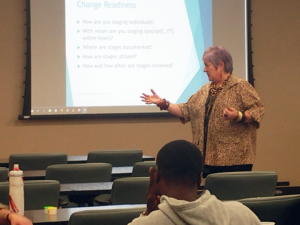 She was an active participant at a local IPS Learning Collaborative, leading discussions on how to use the Career Profile to build a Person-Centered Plan and using Motivational Interviewing to discuss work values. Penny believes that employment should be an option for all people and hopes to promote employment as a vital part of recovery in her new role. IPS Consultant and Trainer with the Institute for Best Practices. Formerly an IPS Team Leader for ES UCP Wilmington, Martha has more than 6 years of experience in community mental health programs including facilitating SAIOP groups. She also spent some time working as a counselor and case manager at an inpatient residential program helping those with co-occurring conditions. It was there that she realized the integral role employment played in recovery and how it contributes to one’s sense of purpose in life. Martha is looking forward to helping others learn and implement IPS services across the state. IPS Consultant and Trainer with the Institute for Best Practices. Ashley has more than six years of experience in community mental health on an Assertive Community Treatment Team (ACT) and experience as an IPS Team Lead for Easter Seals UCP. 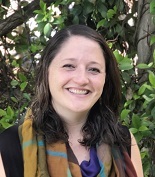 Ashley began working on the ACT Team as a Certified Peer Support Specialist and worked her way to Qualified Mental Health Professional with a focus of Family Psychoeducation. She is also currently working on her master’s degree in Mental Health Counseling, with a goal of completing the program in September 2018. After obtaining the master’s degree, Ashley plans on working to become a LPC. Ashley is a champion for the IPS-SE model, believing that no matter the barrier, everyone who expresses a desire to work can become successfully employed. IPS Consultant and Trainer with the Institute for Best Practices. 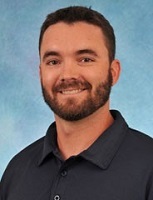 Antoine is an occupational therapist with experience in inpatient psychiatry at Central Regional Hospital and WakeBrook. Antoine provides consultation and training to enhance the functional performance of activities of daily living for community-dwelling adults with SMI. Antoine is also Assistant Professor at the Division of Occupational Science and Occupational Therapy in UNC’s School of Medicine. He is actively engaged in research to enhance the community integration and functional independence of adults with SMI. When not managing the functional disarray of his household with young twins, he’s off playing disc golf, going to concerts, and traveling the world, including his native home of France. Program Assistant for the Institute for Best Practice. Daniel assumes many roles, including certification tracking, data entering, and overall organization and beautifying of our office space. Daniel comes to this position with training in office administrative assistance, has a great work history in banking and customer service, and is all-around professional and charismatic. On any given day, he is often the most professional and best-dressed of all of us. Financial Officer for the staff at the Institute for Best Practices. Pamela assists with ensuring Institute staff travel reimbursements are submitted and paid, assists with invoicing, and performance tracking. She has worked in several departments within the university in various administrative roles. Her previous experience includes positions in student services, financial services, event planning and human resources. Technical Support for the staff at the Institute for Best Practices. Justin’s experience with media ranges from documentary film to photojournalism. He joins the Institute assisting with web development, photography and videography, and social media strategy. His experience in media is conjoined with his time working as a Supported Employment Specialist. His knowledge of IPS helps the team present the most relevant training content and multimedia materials available online.